The Liteville 301 MK15 is the latest incarnation of a true classic. 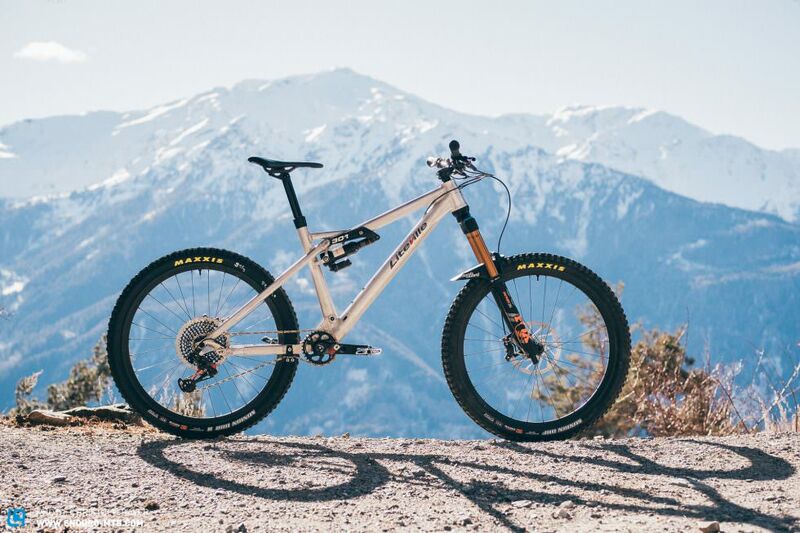 The updated version of the popular German trail bike comes with a revised geometry, lots of smart details and can take both 27.5″ and 29″ wheels. The new 301 MK 15 is available in several versions, which we’ve already tested for you. The Liteville 301 MK15 is now longer and slacker. The updated version of this German classic allows you to run both 27.5″ or 29″ wheels. The complete bike is called the “Factory Machine” and is available in four different spec options. What are the differences between the new Liteville 301 MK15 and its MK14 predecessor? The MK14 version was already a successfull chapter in the history of the 301. The updated MK15 version has undergone even more serious changes. This time the engineers wanted to make the 301 even more capable and more versatile, without affecting its handling. This was achieved by combining a longer, slacker geometry with the DuoLink flip-chip geometry adjustment-system in the rear-end and the LevelTune insert in the head tube. But if you take a closer look at the frame, you’ll notice even more new details: Liteville also revised the integration of the EightPin dropper and improved the cable routing of the 301. 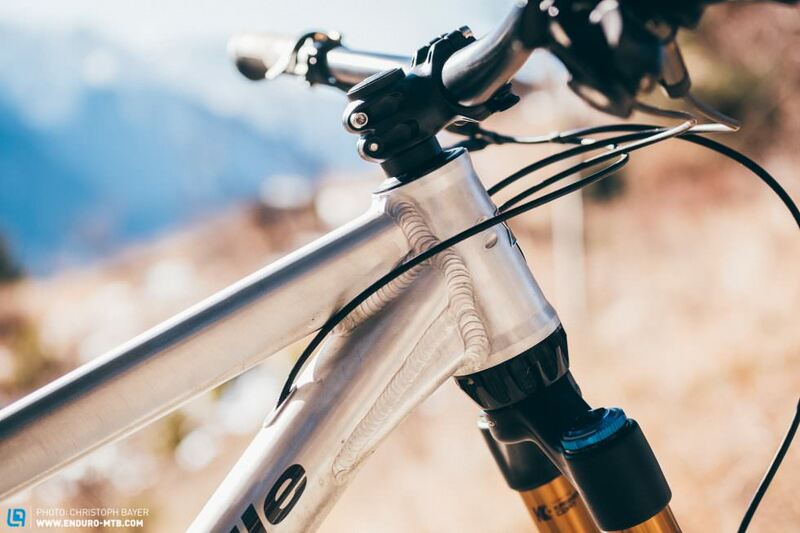 The LevelTune attaches to the bottom of the head tube. The 23 mm-high bearing-shell adapter compensates for the shorter insertion-length of 27.5″ forks. Liteville DuoLink and LevelTune – one frame, two (or even three) wheelsizes. There’s nothing new about the DuoLink-Liteville combo. However, while the previous MK14 model dispensed with the chainstay geometry-adjustment, the latest MK15 version takes it up again. But what does this technology do? 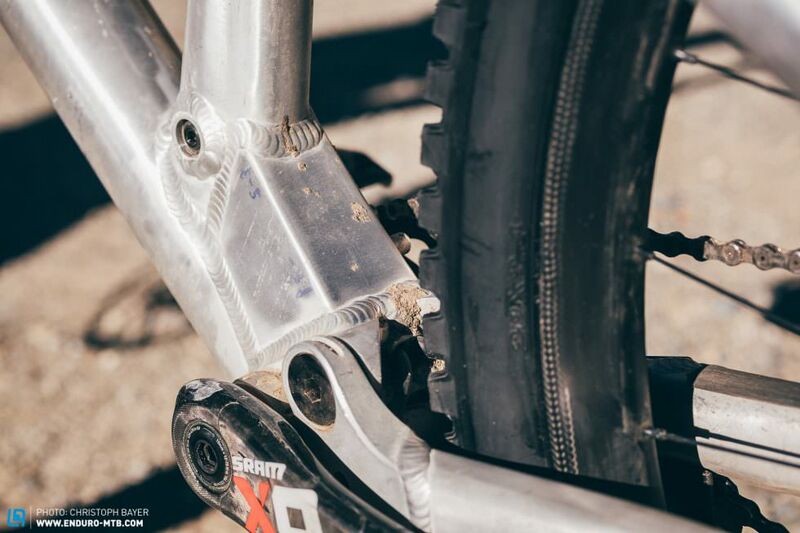 It allows you to adjust both the chainstay length and bottom bracket height of the bike. The front position is used with 27.5″ wheels and the rear one with 29″ wheels. Furthermore, Liteville has developed the LevelTune system to compensate for different fork-heights, which come as a result of the different wheel sizes. The 23 mm-high bearing shell adapter attaches directly to the bottom of the head tube and, according to the manufacturer, shouldn’t affect the stiffness of the headtube nor cause creaking noises after prolonged use. In combination with the DuoLink, this allows you to swap between 27.5″ and 29″ wheels without changing the geometry of the bike – though, you still have to change the fork. 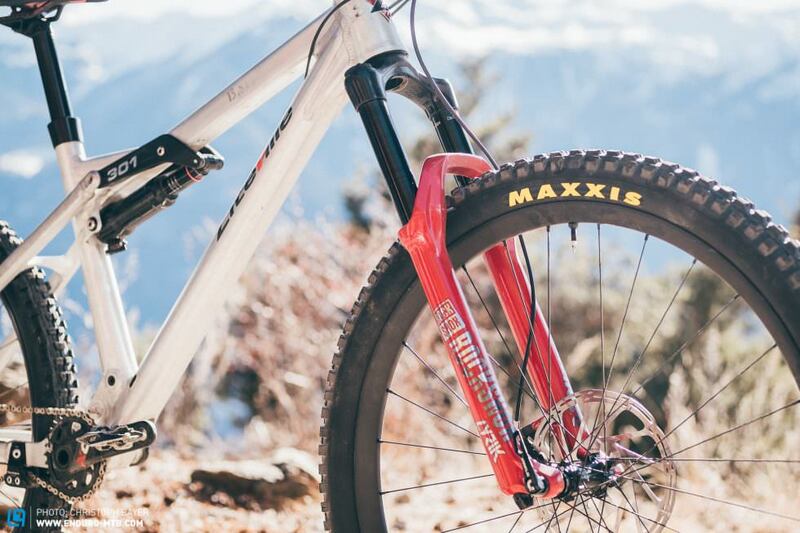 If you want to set up your new 301 MK15 with 27.5″ wheels, Liteville recommends a 170 mm-fork. If you decide to go with 29” wheels however, you should get a 160 mm fork. 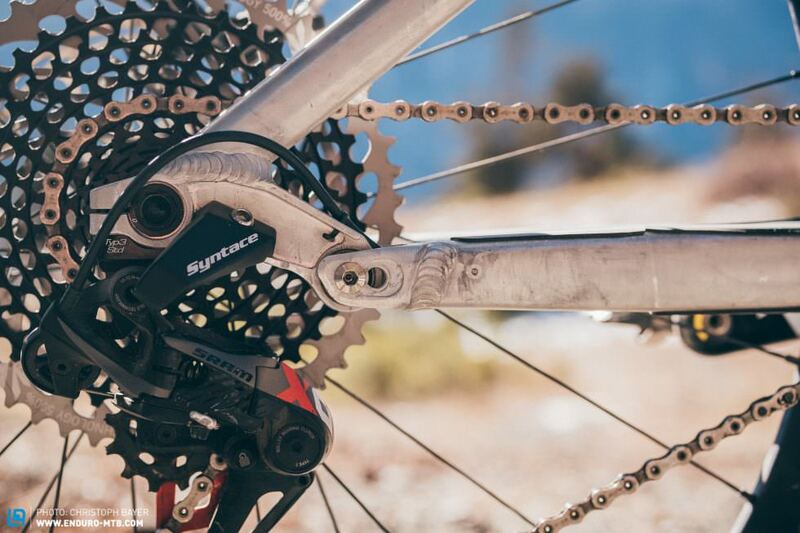 Most modern 1-speed drivetrains don’t require a chain guide anymore. According to Liteville, however, their in-house guide significantly increases the lifespan of the chain. With this new design, you won’t have to cut off the Eightpins seatpost anymore. On the actual production bike the welded box will look even neater. The new Liteville 301 MK15 is available either in a 130 mm Trail- or 160 mm Enduro- version, respectively with 27.5″ and 29″ wheels. All variants share a slightly longer reach (around 1 cm) and a significantly slacker head angle. The Enduro has been slackened by a full 1.5°, which now measures 64.5°. The Trail version on the other hand has a head angle of approx. 65°. 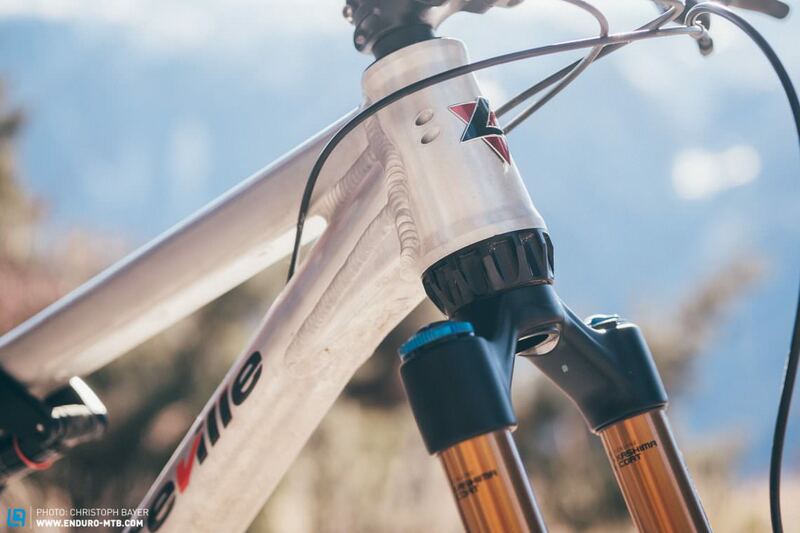 To prevent the front-end from tilting away, Liteville relies on a fork with a shorter offset, which in turn increases the trail-figure. This should significantly improve the running smoothness and stability of the bike, without affecting its agility. While the 27.5″ version of the Liteville 301 MK15 is available in sizes S to XL, the 29er option comes in sizes M to XXL. In the chart you’ll find the geometry of the 160 mm version in S with 27.5″ wheels, for all other sizes than 29″. So far Liteville offered their bikes in just one spec option, with the possibility of individual upgrades. While the upgrades are still available, the spec options have now risen to a total of four – both for the 301 MK15 Trail- and Enduro-version. Prices for the Liteville 301 MK15 Werksmaschine start at € 4.680 with a SRAM GX Eagle-kit. The XT version sets you back € 5,640. Whilst the X01 version starts at € 6,340, the top-end model with electronic SRAM X01 Eagle AXS groupset, starts at € 7,440. Liteville also offers the new 301 MK15 as a frame-kit. Here prices start at € 2,480. 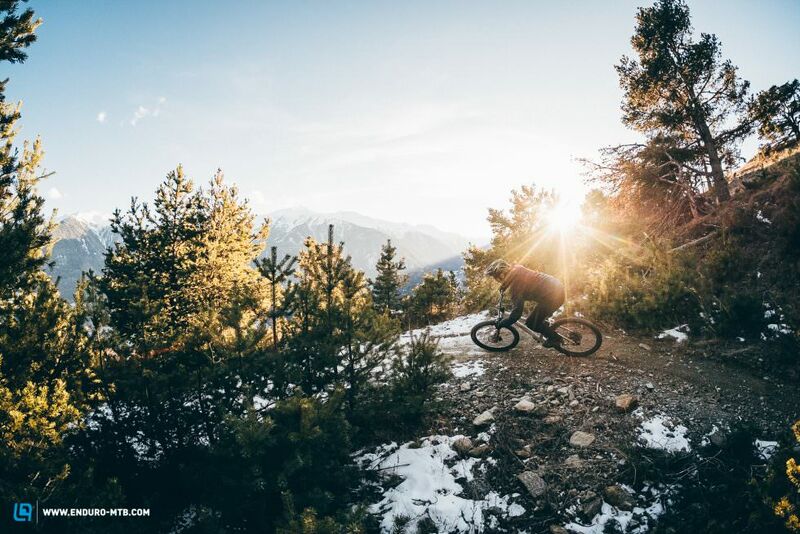 Even before its official launch, we had the unique opportunity to ride a prototype of the new 301 MK15 in an exclusive first-test on the sunny trails of Latsch in South Tyrol. We tested the Liteville with both wheel configurations on four descents with 1000 vertical metres each. This was enough to get a good first impression of the bike. However, the head angle of our test bike was 1° slacker than the production bike, which makes it hard to get an accurate idea of the handling. In good-old Liteville fashion, the DynaLevel system on the rocker-arm makes it very easy to set up the bike. A mark on the rocker tells you when the SAG is perfectly set while you can sit on the bike. 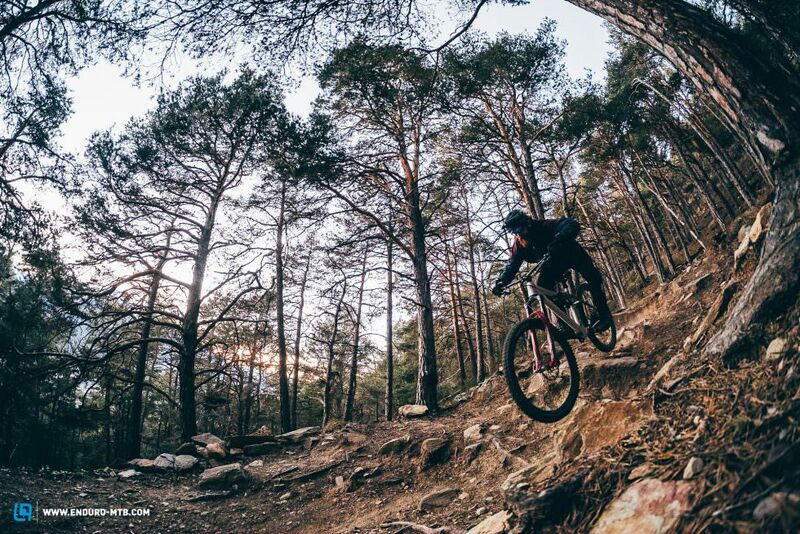 The first thing you’ll notice when climbing, is the very centred riding position. The steep seat angle puts you comfortably in the centre of the bike and allows for a comfortable ride, even on the steepest of climbs. However, the short top tube makes for a rather compact, upright riding position. Since we used the local shuttle-service to get to the trailhead, we can’t comment on the performance of the suspension on technical uphills. However, the previous 301 MK14 was already very good in this regard. On downhills the Liteville feels ever so familiar right from the word go. The (still) rather short reach of 460 mm (size L) makes it easy to shift your weight between the front- and rear-wheel. 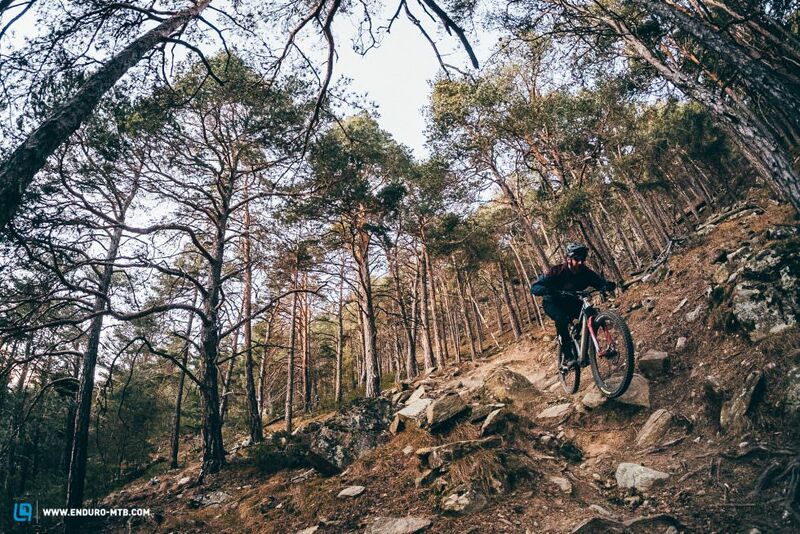 Following in the steps of its predecessor, the MK15 is a rather playful bike that allows for direct direction changes and constantly encourages you to play around with the trail-features. At the same time, however, it’s noticeably more stable than the older version and inspires tons of confidence even when riding on demanding terrain and at high speeds. If you like getting rowdy and, above all, if you love speed, we recommend going one size up – as seen in our previous MK14 test, the shorter seatpost makes this possible. All in all, the MK15 feels very balanced. Despite our test bike having a slightly slacker head angle than the production bike, we always had enough grip on the front-wheel, even on flatter trails. From experience we know that the Liteville 301 has always had a soft spot for steep technical descents, where you have to throw around the back-end to get into the valley in true trail-style. The latest version of the 301 maintains this penchant and knows how to deal with nasty trails — definitely better than its rider. The Liteville is nimble and easy to ride at low speeds. The enormous adjustment range of the EightPins dropper inspires even more confidence on tricky descents. 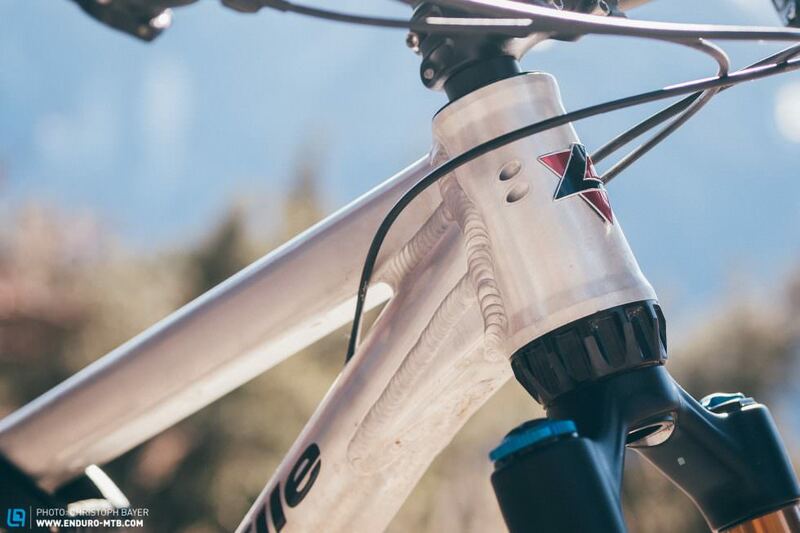 Our 301 MK15 prototype features a RockShox Super Deluxe shock, which Liteville tuned specially for this bike — this service will soon be available to all customers. The shock makes for a very sensitive rear-end and literally nails it to the trail. At the same time, it provides good feedback and never threatens to sink away, not even in berms and compressions – very good! This way the rear-end provides good grip whilst always feeling lively! 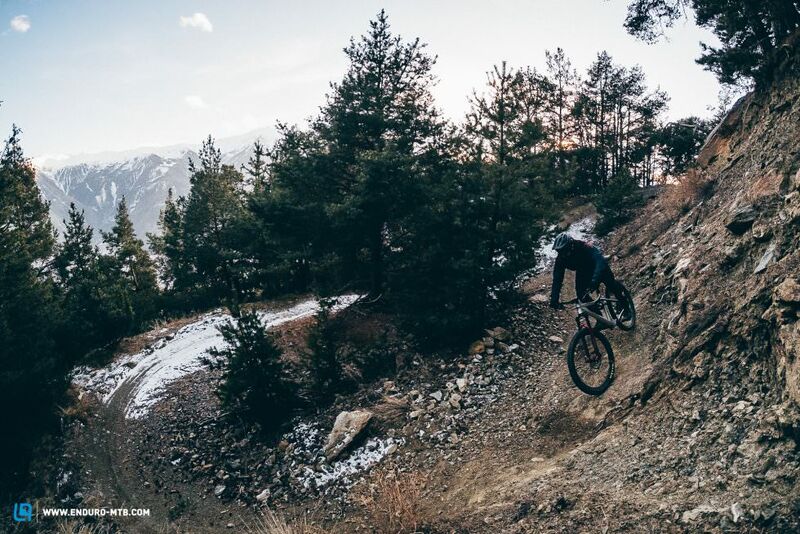 In this first test we only noticed one negative trait: in fast direction changes and flat, slow trails, the very slack head angle of our prototype bike generates a slight resistance on the handlebars. The front-end feels sluggish and requires firm steering inputs to initiate a manoeuvre. Having said that, the wheel never tilts away uncontrollably. This proofes that slacker head angles aren’t necessarily better. Liteville was aware of this and therefore adapted the geometry of the production bikes. On demanding terain the 301 MK15 remains very composed and convinces with an extremely good rear-end performance. That said, there are even more capable and smoother bikes out there. The crucial question: 27,5” or 29”? We know that’s the question you’re asking yourself right now. 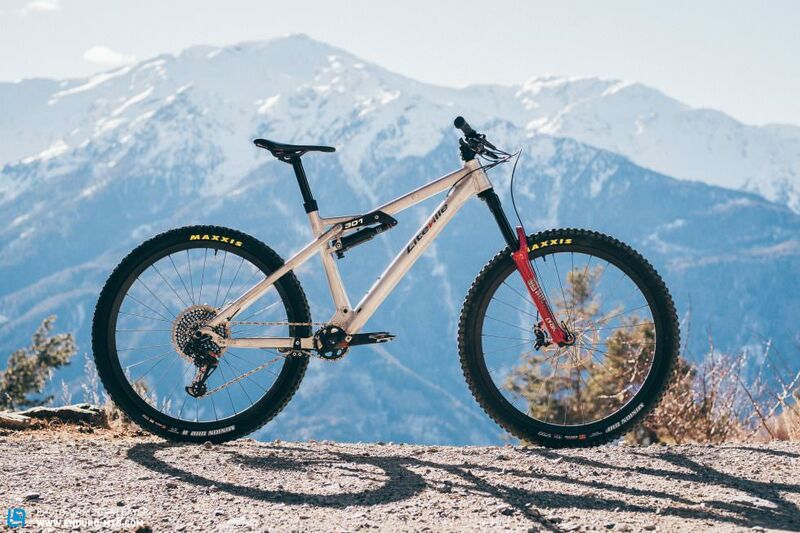 After spending an entire day riding both bikes on the same trail, we would pick the 29″ version. With the smaller wheels the 301 MK15 feels a little more lively and direct, but then all MK15 version are pretty agile. In our opinion the bigger wheels simply make it a better all-rounder; they provide more traction, roll more efficiently over obstacles and inspire a huge amount of confidence. And even with the big wagon wheels, the 301 MK15 is anything but sluggish. It would be interesting to try a combination of a 29″ wheel in the front with a 27.5″ wheel in the back – the DuoLink makes this option possible! If we had to choose, we would go for the bigger wheels! Since we tested a prototype with a slightly different geometry and only had a very limited amount of time to do so, we’re not quite ready to give you a final verdict. The new Liteville 301 MK15 however, has already managed to impress us in this short testing-session. If you’re looking for a very good climber with an agile and playful character, the 301 MK15 is undoubtedly a very reliable companion packed with smart details. We’re already looking forward to test it more extensively in the near future! 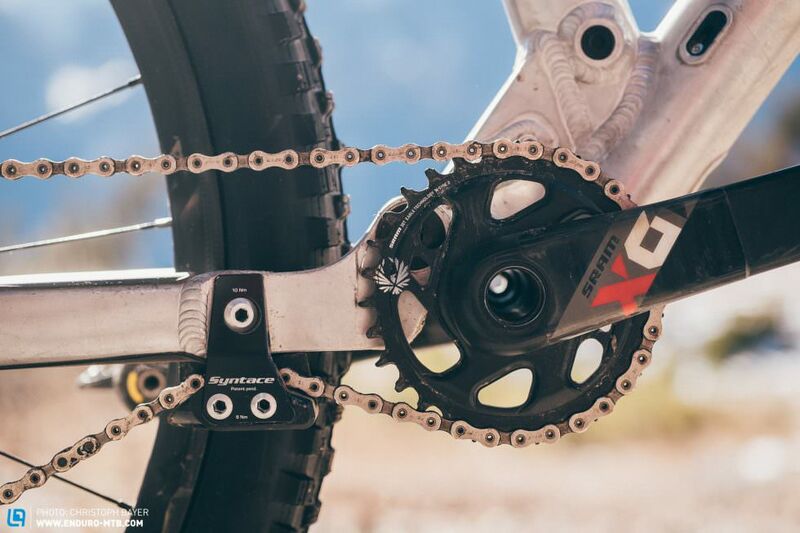 View Vital MTB member Clément-charles's mountain bike check 'Specialized demo 8 '.